That's mine! starfish giveaway | Cosa Mi Metto??? In summer time I adore to wear accessories that evoke the sea.. if you feel the same, today is your lucky day: thanks to the amazing online shop That's Mine! 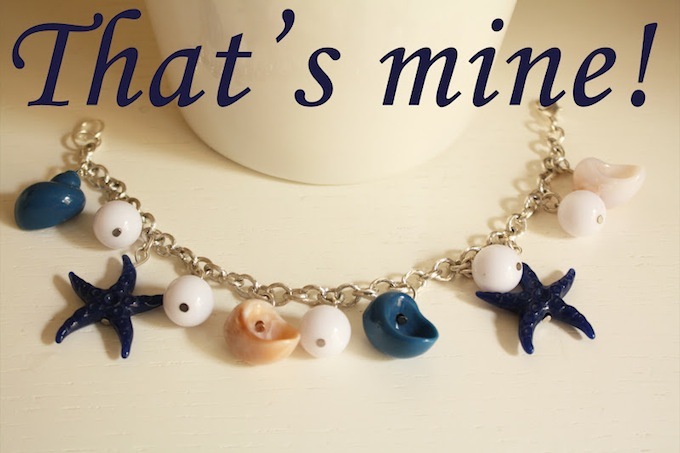 I'm happy to offer to one lucky winner this chic bracelet decorated with starfish and shells! Follow Cosa mi metto??? and That's Mine! Leave a comment with your email to be contacted!! The last day to enter the giveaway is 07/18. Good luck to everyone! D'estate adoro indossare accessori che evocano il mare.. se anche per voi è così, oggi è il vostro giorno fortunato,: grazie al fantastico negozio online That's Mine! sono felice di offrire ad una fortunata vincitrice questo chiccissimo braccialetto decorato con stelle marine e conchiglie! Seguire Cosa mi metto??? e That's Mine! Mettere il mi piace alla pagina facebook di Cosa mi metto??? e la pagina facebook di That's mine! Lasciare un commento con la vostra email per essere contattate!! L'ultimo giorno per partecipare al giveaway è il 18/07. Buona fortuna a tutte! i love that bracelet!!! so perfect for summer! I follow Cosa mi metto??? and That's Mine! Davvero un bel giveaway, mi piace!!! I am loving sea accessories right now! Oh, beautiful necklace!! Love it. I'm following both of your blogs via GFC as Wednesday Addams. I also liked your Fb pages (Barbara Jurić). It's a very cute bracelet. Why don't write you also in polish? Btw, you asked to follow each other :D Hope you do the same <3 thanks! il bracciale è davvero carino..mi piace troppo!!! wow è bellissimo questo bracciale!! gret post honey, as always!! Such a cute bracelet! Fish is my sign (25February)! I am already following you for a while on GFC and facebook! Fantastic give-away! Love it and your blog! !